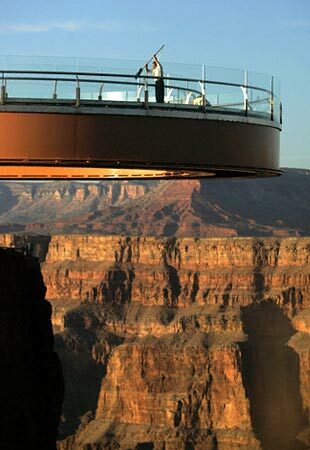 The Hualapai tribe of Arizona commissioned this horseshoe-shaped, glass walkway that opened above the Grand Canyon in 2007. The Skywalk juts off the rim of a side canyon 4,000 feet above the Colorado River. Despite the vertigo-inducing views, the glass bridge reportedly is very sturdy — it can support more than 71,000 pounds and can withstand gusts of wind over 100 mph.